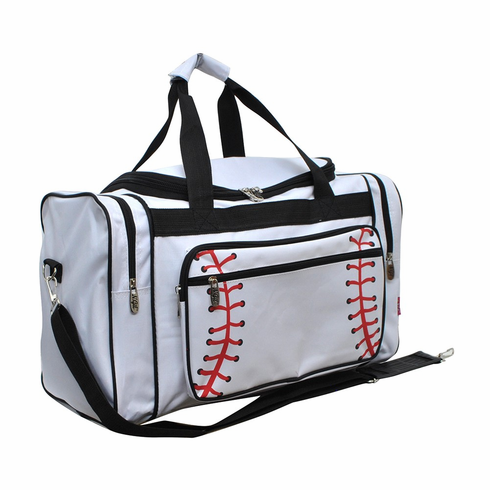 White Baseball Canvas Duffle Bag. Measures appx. 20"(L) X 11"(H) X 10"(W). Double handles have appx. 8" drop. Both side two round zip pockets.